The probate process is the method of which an estate, including assets, is legally processed and administered after a person’s death. Probate processes provide a legal, organized and supervised manner for estate transfers and ensure debts or taxes are paid prior to beneficiaries receiving their portion of inheritance. Probate is applicable whether or not the deceased individual made out a will in his lifetime. Florida provides four different probate processes. The formal or summary administration processes can be implemented whether or not a will exists. Formal administration is the most commonly used process involving a personal representative. The process is only considered formal administration if it begins within two years of the date the person passed away. Additionally, it can only be used if the assets of the deceased are worth more than $75,000, without his primary residence included. The formal process is urged in any case that also involves a law suit associated with the estate, or if money is owed to creditors. The summary administration process is usually implemented if the estate is worth less than $75,000 without including the value of the primary residence. If the deceased individual passed away more than two years prior to beginning the probate process, summary administration is the typical route. In the summary process, a personal representative is not necessary. The process allows for a simple title transfer directly to the beneficiaries. The third probate process is referred to as the admission of foreign will to record. This method is used when a will regards real property assets in the state of Florida, such as a condominium or vacant lot, and has been probated in a state other than Florida. Admission of foreign will to record is frequently used when the beneficiary is attempting to sell the property in Florida. The beneficiary requests the title be legally transferred to him in order for him to properly transfer it to the buyer. However, this process cannot be implemented if the estate owes any amount of money to creditors. The final probate process is referred to as no probate, or disposition without administration. This process occurs when the funeral expenses combined with the final sixty days of medical costs are paid for by a person other than the deceased individual, and those charges amount to a larger sum than the deceased person’s property is valued. A number of details factor into which probate process is implemented in each case. Regardless of which method is used, several professionals play a role in completing the probate process. Aside from the personal representative, guardian or executor, a circuit court judge and a clerk of the court in the county of the deceased person’s primary estate are usually involved. 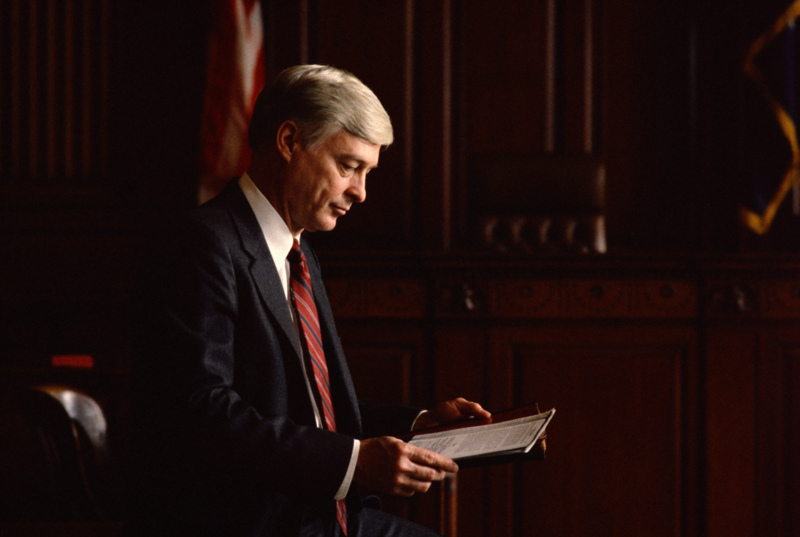 An attorney for representative purposes, or a lawyer providing legal advice, is common. Any parties filing claims for debts incurred by the deceased are also involved, including health care providers and issuers of major credit cards. Additionally, it is possible for the Internal Revenue Service to become involved in a probate process. This may occur if the deceased individual owes any federal income taxes, if the will detailed a financial federal gift or if the probate process includes any transfer tax matters. A specific executor or personal representative may be named in the deceased person’s will. This person is eligible to perform the executing duties if he or she is legally qualified to do so. If the person is not qualified to carry out probate executions, or if there is no valid will, the surviving spouse retains the initial right to serve as the personal representative following approval from the judge. If the deceased individual is not survived by a spouse or if the spouse gives up the right to serve, the personal representative is chosen by the beneficiaries. Should the beneficiaries disagree on their preference of the personal representative, a hearing is held for the judge to review the information. The judge then makes the ultimate decision of who to appoint as the personal representative. Personal representatives or guardians of deceased individuals must be represented by a lawyer legally practicing in the state of Florida. In the event that the personal representative or guardian is also an attorney that legally practices in the state of Florida, he is eligible to represent himself. If the personal representative or guardian of an estate is the only party interested and involved in claiming the assets, then an attorney is not mandatory. The individual can still decide to hire an attorney for representation or a lawyer for legal advice, but it is not a requirement. Although each attorney may provide slightly different services, they all carry out the same primary functions. In a formal administration process, the services dramatically vary by case circumstances. In the summary administration process, the role of a probate attorney is more structured. All attorneys begin by reviewing the case information. If the probate attorney decides to take on a client, he sends a letter of engagement with an accompanying fee agreement. Once the client signs off on the fee agreement, the attorney is then responsible for preparing the estate orders, associated pleadings or petitions and other necessary paperwork for the court. These documents must be signed by the client before they can be sent to the court. Once the files are gathered and signed by the client, the probate attorney submits the paperwork to the court in the estate’s corresponding county. The court judge reviews the documents and if everything is in order, signs off on the final orders. The probate attorney follows up by obtaining certified copies of the file and submitting it to official public record books, along with any applicable third parties. In some cases, a public notice may be required. The probate attorney usually takes on the responsibility of finding the cheapest eligible publication and submitting the notice. If there are creditors owed by the estate, the attorney often contacts the creditors after he has published the notice. Dealing with creditors is a second detailed process within the lengthy probate process. The probate attorney may handle the claim validations and client consultations to discuss objecting, paying or settling the resounding debt with the creditors. Probate attorneys may work with clients to remove claims from a case entirely. Depending on the circumstances of each case, the probate process can take as little as three months to complete. The process can also be extended to last longer than a full calendar year. Gathering the necessary documentation is one of the key components that results in a lengthy probate process. Technically, the documents that are needed to legally close a probate estate are not due for an entire year following the court’s issuance of the Letters of Administration to the personal representative. However, this deadline can be extended in most situations. According to the Florida Bar, it is most reasonable to assume that the average probate process for a normal estate will last between five and six months.